Do you have a Clearview sliding door? 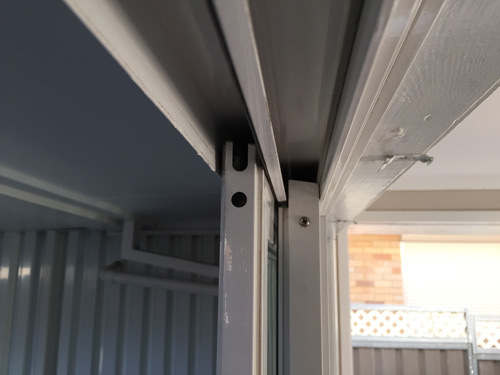 How do you know if you have a Clearview sliding door, Clearview patio sliding door or Clearview Aluminium sliding door? Check on the images below as these are the most common types of Clearview sliding doors on the market. 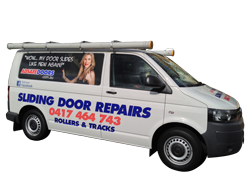 We also specialise in Clearview Sliding Door Repairs. We literally fix dozens of these doors. The sliding door itself is fine. The reason we have to fix so many is because of the age of the tracks and rollers the door sits on. You see, over time, all quality doors will wear out their tracks and rollers. 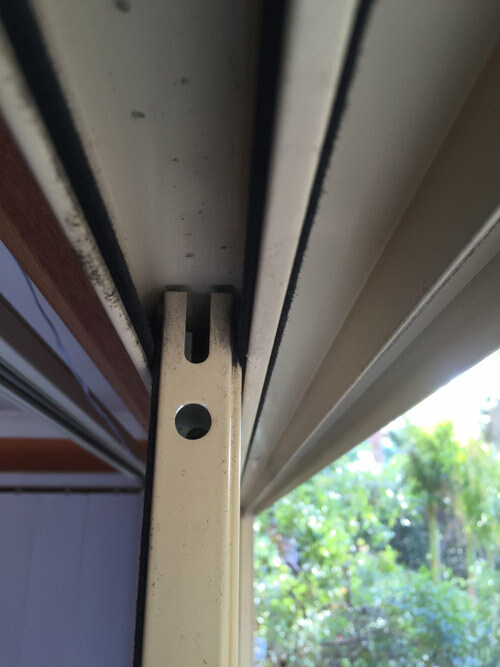 We have refined our process and provide a long-term fix to your Clearview sliding door. So when you give us a call, just make sure you are nearby the door so we can help you identify it while you are on the phone. With some of our clients, we use Facetime to get them to show a video of their door. Within seconds we can tell you exactly what type of door it is and what needs to be done. If you can tell you have a Clearview sliding door, then be sure to tell us when you get on the phone so we can’t give you an accurate estimate of the time and price for the job. The image below shows the easiest way to identify what your type of door you have. 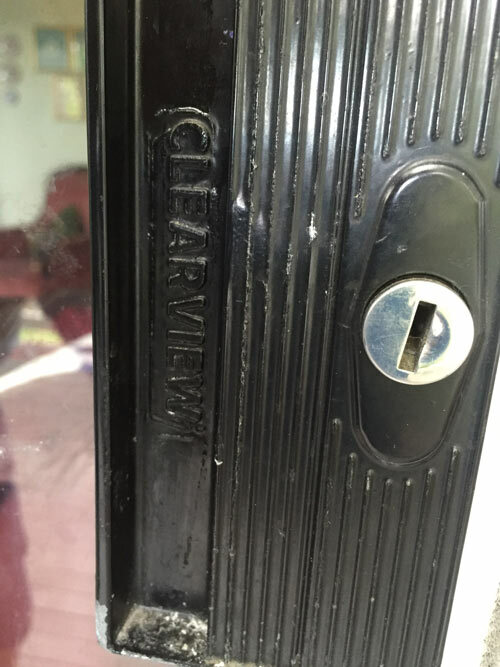 You can see the word ‘Clearview‘ clearly marked on the lock itself. In fact, you may notice the door being fixed in the video below is a Clearview sliding door. The sliding door below was completely jammed and you can watch as we go about our business and then get it rolling smoothing again. In fact, you can see we slide it with one finger at the end. For more information or to request a quote, please Contact Us via the number below and speak to someone who can help you straight away for all your sliding door repairs.